Water-resistant zippered front closure, chest storage pocket and hand-warmer pocket. Tuck-in and removable hood with drip-free visor. Fully sealed and taped waterproof seams. Water-resistant zippered front closure, chest storage pocket and hand-warmer pocket. Frogg Eyzz reflective piping. Adjustable elastic cuff openings. 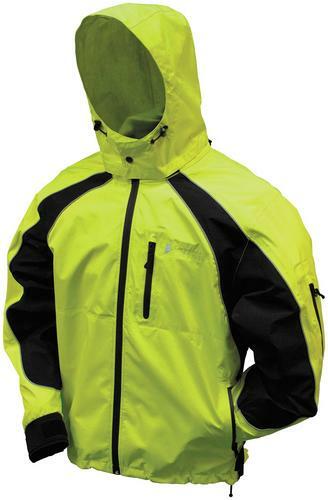 Tuck-in and removable hood with drip-free visor. Adjustable elastic waistband with shock cord and dual cord locks. Neoprene cuffs.